Probiotics are live microorganisms (bacteria and yeasts) found in your intestines. Similar probiotics are available in some foods and dietary supplements. Probiotics are sometimes called “good” or “healthy” microorganisms. Experts believe that these bacteria help you maintain a healthy digestive system by limiting the growth of “bad” or “unhealthy” bacteria. The use of probiotics relates to digestive health. Although some probiotics have shown promise in research studies, strong scientific evidence to support specific uses of probiotics for health conditions is lacking. There is evidence that probiotics may be helpful in preventing diarrhea caused by infections and antibiotics. They also may improve symptoms of irritable bowel syndrome. However, the U.S. Food and Drug Administration (FDA) has not approved any probiotics for preventing or treating any health problem. Probiotics are similar to the “good” or “healthy” microorganisms already living in your digestive system. Medical studies have not shown probiotics to be harmful to healthy people. However, people who are very ill and people who have a weak immune system should be cautious about eating or drinking probiotic products or taking probiotic supplements. Common side effects of consuming probiotics might include gas and bloating. While these are typically mild and temporary, more serious side effects include allergic reactions to the probiotics or ingredients in the food or supplement. You should talk to your family doctor before you start taking probiotics or any type of dietary supplement. He or she can tell you if a probiotic supplement will affect any medical conditions you have. Be sure to tell your doctor if you are taking any prescriptions, over-the-counter (OTC) medicines, or other dietary supplements. Look for labels that identify “live active cultures” or that include the full name of the bacteria on the nutritional label. There are many different types, or strains, of probiotics available. Most of these are of the Lactobacillus and Bifidobacterium variety. For example, Lactobacillus acidophilus is a type of probiotic found in yogurt and soy products. Probiotics are also available as dietary supplements in capsules, tablets, powders, and liquids. One commonly used supplement is acidophilus. Many experts will tell you that the jury is still out on probiotics. 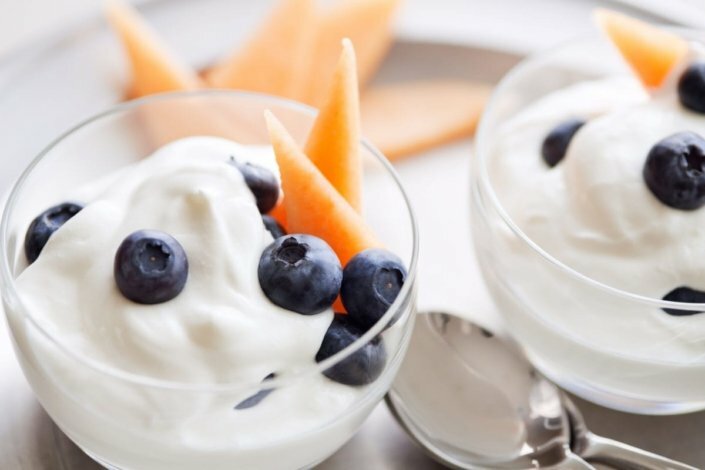 Eating foods that contain probiotics is generally safe for most healthy people. Other people should steer clear of probiotics. These include people who have a weak immune system, including people who have cancer or those who have to worry about infection. Probiotic supplements do not require FDA approval. This means that they are not regulated in the same way as prescription drugs are regulated. Supplements are not required to have the same safety testing as regulated drugs. It is not unusual to have some gas and bloating when you begin eating or taking probiotics. These should go away in a few days. If they don’t, you should contact your doctor. Other side effects are rare, especially if you are healthy. However, if you begin to experience more severe abdominal pain or have abnormal stools, you should contact your doctor immediately. Should I be adding probiotics to my diet? Can I get enough probiotics through food, or do I need a probiotic supplement? Is it possible to get too many probiotics in my diet? Are probiotics safe for my child?